It’s a well-known fact that Les Paul (the man) was a big fan of low-impedance pickups, and that he wasn’t shy about expressing his concerns with the sound of the high-impedance humbucking pickups that came in his namesake guitar. In short, he didn’t care for them, and found them muddy and lacking articulation and string separation. In the final years of his life, Les went back to the workbench to design a humbucker pickup that could offer the clarity and presence of the low-impedance pickups he preferred. 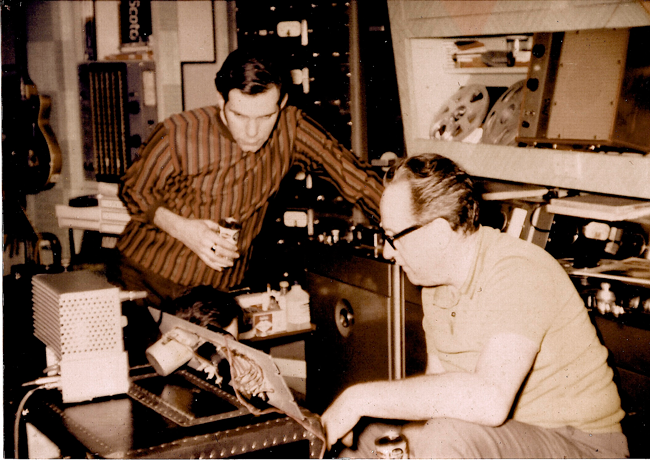 While Les passed away prior to completing this final invention, his long-time sideman and confidant, Tom Doyle was able to see the project to completion. Tom and his business partner Max Stavron poured over Les’ notes and prototypes, and over the course of about two years, developed a high-end humbucker pickup that would make Les proud. I recently spoke with Max about the process for developing the Doyle Coil TRU-CLONES. The following is an excerpt of our conversation. Phillip Dodge: Can you give me a little background on the Doyle Coils and on Tom Doyle’s relationship with Les Paul? Max Stavron: Tom Doyle worked with Les from the early 1960s on. Tom met Les when he was still a kid (a teenager) and then later in his 20s before he went into the service. Then they met again after Tom got out of the service. Les came to see Tom perform Les’ songs live, and Les was very impressed. Les recognized right away that Tom had a great ear and that he had the ability to play multitrack recordings on stage just like Les could, and he was also very impressed with Tom’s luthier skills. Les immediately recognized that he wanted Tom around him and he brought Tom into the fold. Tom has been Les Paul’s right hand man, guitar tech, luthier, and co-experimenter, sound man, and all around confidant for 45 years, all the way up until the time of Les’ passing. PD: So Tom and Les were working together in the weekly NYC gig? MS: Yes, absolutely. Tom had already been working with Les for 15–20 years before Les decided to come out of retirement. And the first gigs they did were the Fat Tuesday’s gigs that became so famous. Believe it or not, they did some very small gigs in little New Jersey fish houses prior to the New York gigs. In fact, that’s when I first met Les…back in 1981 or 1982 at those Fat Tuesday’s shows, and Tom used to take me to Les’ house and let me hang around when Les came to Tom’s shop. PD: Getting more technical, it seemed like Les abandoned the humbucker and made the switch to low-impedance pickups pretty early. Did he still have an interest in traditional high-impedance pickups as well? MS: Les’ interest in low-impedance pickups started right at the very beginning as the Les Paul guitar was being developed. As they were being made, he would get the Les Paul guitars from Gibson and immediately begin going to town and ripping them apart, installing his own low-impedance pickups so he could plug directly into the board. So that started in the very early 1950’s. But he still (and always) maintained an interest in the humbucker. It’s widely misconstrued—thank you internet guitar forums and guys that think they know about these things. 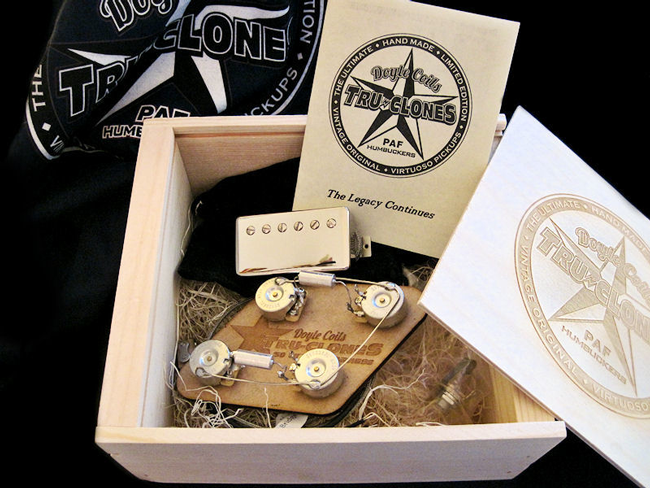 Les played low-impedance pickups for a reason. He wanted clarity. He wanted low-noise. And he wanted the ability to record direct. 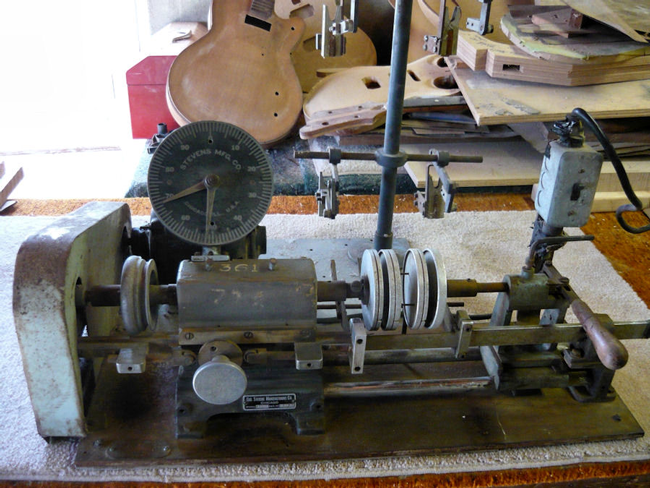 He wanted that low-impedance, clean and clear tone that he was known for. But he also knew that 99% of the guitars that bore his name carried the humbucker pickups. And he didn’t care for their lack of clarity, their muddiness, or lack of string articulation, and it really drove him crazy and was a thorn in his side. Les was always working on it, but more specifically, in the last four or five years of his life he really sat down and started to work through prototypes and revisions and decided he was going to make this his last project. He wanted a clean, clear, crisp, articulate humbucker. Basically everything great about a good humbucker with none of the drawbacks. He wanted a humbucker that he could be proud of and that Gibson could install in the guitar that bore his name. PD: Since we’re talking about the differences of high-impedance versus low-impedance pickups, how would you describe the sonic differences for guitarists who haven’t had the opportunity to play low-impedance pickups? MS: The nature of low-impedance is that they impede very little so you are getting a very clear signal. I always make a joke about humbuckers. People say “oh, what does that mean?” And I say well, it means it bucks the hum. It bucks that 60-cycle hum associated with single coil pickups. You’d be surprised how many people haven’t made that connection. People are blown away. And just like low-impedance, it means it impedes the signal flow less. The difference between a matched set of low-impedance pickups that goes right into the board is that it gives you a really clear and hot signal. And of course, high-impedance pickups have a tendency to sound muddled or muffled by comparison. And if you play a chord with six notes, you don’t really hear all six notes. You hear more of a blend or a mélange of notes that doesn’t really represent the full chord structure. Does that make sense? PD: It does. But at the same time, that traditional PAF (Patent Applied For, and you’d be surprised how many people don’t know what PAF stands for) humbucker sound has been used for years in early rock and roll and all of these great classic records. And let’s be honest, guitarists aren’t typically the type to embrace technology. While the rest of the world has moved onto nanotechnology, we’re clinging to vacuum tubes. PD: Exactly. Ray Butts was doing this at the same time, working with Chet Atkins and Gretsch. PD: And this is why you have great PAF’s, and good ones, and ones that are not good at all, etc. MS: Exactly. Let me back up a minute though. We knew what Les was working on. And Tom was, believe it or not, one of the first guys to make after-market boutique style pickups. He was doing it before Duncan and DiMarzio even. It’s funny to look back at these old issues of Guitar Player and see the ads featuring a young Tom. So Les and Tom were always working on pickups. To call it an obsession would be an understatement. They would work constantly. Tom would work on things, Les would work on things, and then they would get together to compare notes. Towards the last three or four years, Les was working hard and he had prototypes, notes, things that worked, things that didn’t, things that were close, and things that were far away. But luckily, Les kept really good notes. He didn’t use journals or even loose leaf paper, but he always had meticulous notes. They might be on random pieces of paper or even pizza boxes. It’s funny, but we have a big stack of these Val-Pak coupons and Les has detailed notes all over the backside of these things. Les would write on the first thing that was paper in front of him. So we have Les’ notes on these pickups on the back of local chiropractors and dentists advertisements. So while he may have been unorthodox with regard to stationary, he knew the importance of keeping detailed notes. Max Stavron: (continued) So while Les was working on these things, he was sharing it with Tom and discussing what we should do and how we should proceed. They were even sending things to Gibson here and there. When Les finally passed away, Tom gathered up all of the notes. He also gathered up all of the winds, the pickups, the prototypes, and began to test and sort through them. Back in Tom’s shop, we began dissecting it all and figuring out what worked and what didn’t. And it became Tom’s ode to his lost friend and mentor to see this project through and develop a humbucking pickup that would make Les proud. And finally, we “cracked the code” of what Les wanted—a clear, articulate, chimey humbucker that sounds great when played clean and that roars when pushed! Les Paul took this thing 80 percent of the way, and Tom and I were there to see it through, and to run it across the finish line. It’s our homage or “love letter” to our boss, mentor, and friend. We wanted this for Les. Here’s the man who invented this electric guitar, sound on sound recording, echo and reverb, and so much more—this was going to be his last invention. We wanted to finish this last invention for him. PD: How many months (years) did you and Tom spend going through the notes and testing prototypes before you landed on a formula that worked? MS: It took us about two years and a ton of prototypes to figure it all out. It was that last 10 percent that was really hard. Things like changing the winds just a little or changing the magnet type or strength. Uncouple this from that, bend and break some rules—I can’t go too deep into the proprietary nature of this stuff, but it was the littlest details that mattered. We are doing things with these pickups that no one else is doing. It took us a long time to figure these things out, but it was worth the effort. Les taught us these special secrets to make pickups do certain things, and we were able apply all of these techniques and knowledge. PD: How would you describe how the Doyle Coils sound when they are installed in a good Les Paul or other similarly built guitar? MS: First, they are extremely consistent. We’ve gone to great lengths to make sure that each one is just like the one built before or after. They all have the same readings and specs and they all sound the same. The consistency from pickup to pickup is very important to us. Describing sound is always hard, but they are very articulate and the notes really bloom. They have great harmonics, really amazing definition in the bass notes, and great string to string clarity. 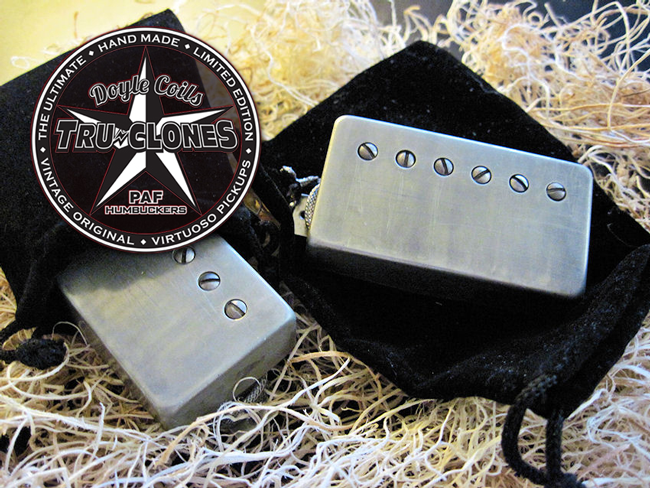 With the Doyle Coils TRU-CLONES, you can really hear every note (and every harmonic) within a chord. They basically cut through the mix without being shrill or ice-picky. Thanks to the added clarity of the pickups, you can really make the most of the two volume knobs and two tone knobs in a Les Paul. It’s why we recommend an entirely new wiring harness that includes high audio taper pots and really high quality paper-in-oil caps to complement the TRU-CLONES. Whereas with traditional PAF’s, you might have good tones with the tone and volume full-up, and then another good tone with them backed off a little, and then another with them backed off most of the way. The TRU-CLONES offer nuances and so many useable settings across the spectrum of the controls. With our Complete ’59 wiring harness upgrade, backing your tone control off to about an eight gives you the tone you would normally get full up with lesser pots. It really offers a whole new level of clarity and sparkle. PD: You and Tom must be extremely honored to have unleashed this final invention from Les Paul.  Do you want to add anything in closing? MS: Les Paul is gone but not forgotten…Tom and I have completed Les Paul’s final dream of a wonderful sounding humbucker pickup in homage of “The Master.” It’s what Les wanted. Now we want the world to remember how important Les Paul is to music, to our culture, and to the sound of the electric guitar that he worked so tirelessly to develop. We wanted Les Paul’s last project to become a reality for posterity, and in his honor…and want to remind us that Les gave so much of himself to his craft. His work, his inventions, and his genius still affect us all to this day, and always will.